If you haven’t noticed, retro styling has become a favorite choice in recent years. People love to reminisce about years gone by and younger generations are discovering the magic of yesteryear. It doesn’t matter if it is clothing, music, movies, games, or cars—everything old is new again. Of course, the ultimate retro experience is getting behind the wheel of a Volkswagen Beetle! The Volkswagen brand was born in 1937 with the intent to provide the average German family with a high-quality, yet inexpensive car that could take them wherever they needed to go. Hence the Volkswagen name, which translates to “people’s car”. Nearly two years later, the first vehicle sporting the famously rounded shape made its debut. This special shaping helped with aerodynamics and would allow the car to remain stable on the high-speed Autobahn that had been recently built. The car also featured an air-cooled (to prevent freezing) engine placed in the rear end. Should I Warm Up My Used Vehicle in the Winter? After World War Two, the Volkswagen factory was repaired (due to severe damage sustained during the war) and the Type 1 began to be mass produced. This car, which would be named the Beetle by American drivers, made its way to the United States in 1949, though major sales did not start until the mid-1950s. 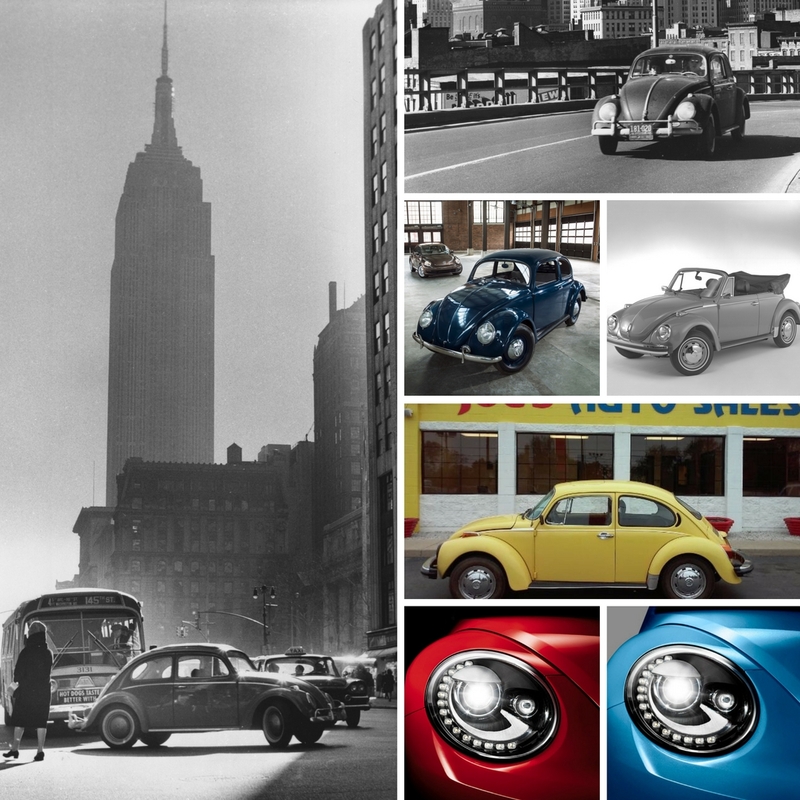 The Volkswagen Beetle is one of the longest-running nameplates and best-selling vehicles in automotive history thanks to its top-notch quality and distinct exterior. This beloved car’s exterior has not changed much over the years and still sports two doors, round headlights, and a rounded hood (in coupe or convertible format). While relatively inexpensive when brand new, you can save even more when you purchase a used Volkswagen Beetle from Joe’s Auto Sales. You can also occasionally find a true vintage treasure when you shop with us! The yellow 1974 Volkswagen Super Beetle Type 1 featured in our collage of VW Beetles is currently part of the Joe’s Auto Sales inventory and is ready for its next Beetle fan! To inquire about availability and price, please give us a call at 317.243.2269 or check it out by stopping at our dealership—located at 3250 W Washington Street in Indianapolis! If you are on the hunt for a particular used Volkswagen model, let us know and we will help you hunt it down! This entry was posted on Tuesday, December 27th, 2016 at 10:32 pm	and is filed under Stories of Interest, Used Vehicles, Volkswagen. You can follow any responses to this entry through the RSS 2.0 feed. You can skip to the end and leave a response. Pinging is currently not allowed.